Hyundai Hy-Cube Translead Van Trailers - Kingpin Trailers LTD. Looking for a reliable transport solution to keep your freight on the road? 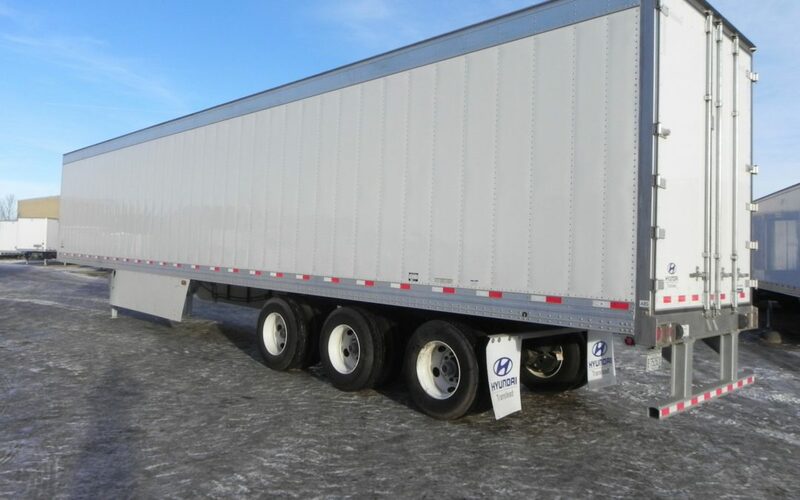 Kingpin Trailers is a leading supplier of transport and hauling trailers throughout Western Canada. With locations in Edmonton, Calgary, Vancouver, and Winnipeg, Kingpin’s vast inventory makes it easy to expand your fleet and keep business moving. Learn more about our selection of trailers including a few spotlight products below. As one of the most popular and versatile options on the market, van trailers are the “jack of all trades” when it comes to transport. Perfect for a wide range of applications across multiple industries, this style of trailer comes in several different sizes and designs. 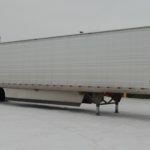 Whether you need to haul basic cargo for a short distance or to safely transport produce in a refrigerated container cross-country, van trailers are a dependable and cost-effective solution. Hyundai Translead trailers are the number selling trailer across North America, and have built a reputation for unparalleled quality and innovation. Their incredibly popular Hy-Cube models, along with the rest of their trailer lineup are built to superior standards and made to last. Among the many features that help set Hyundai trailers apart is their Ultimate Corrosion Protection® package that is included with every translead container. The package includes the rear frame, rear impact guard, wing plate, “K” bracing, mid-mid-turn signal bracket, and mud flap bracket. All parts are hot-dip galvanized, covering all surfaces and overlapped areas. 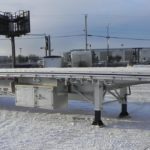 Hot-dipped galvanized treatment offers approximately 5 times the service life of zinc-rich paint, as well as greater adhesion and resistance to discoloration. With optional dolly-converters available to join trailers together for large loads, Hyundai offers convenience and practicality all in one. Kingpin is proud to be a licensed dealer of Hyundai Trailers. Each of our locations regularly receives new stock to add to our inventory. Below is a small selection of our available models. Upper coupler, rear door frame, all cross members, dolly leg skirts, slider rails. Learn more about specific features and available add-ons by contacting our team directly. Learn more about the Thermotech Tri-Temp Reefer by contacting Kingpin now.